Turin Porta Nuova station overlooks Corso Vittorio Emanuele II in the city center and is the main train station of Turin, with a passengers traffic of nearly 200,000 people a day. The hotels in Turin near Porta Nuova Station are excellent lodging options for tourists visiting the city and business travelers alike. From the station it’s possible to walk to the historical centre of the city in a few minutes, as well as to the City Hall in Piazza Palazzo, Turin University, the Egyptian Museum and the main shopping streets of the city. 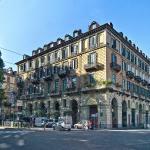 Most 3 and 4 star hotels near Porta Nuova train station are housed in elegant 19th-century buildings. 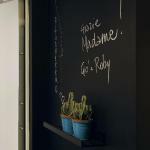 Some have maintained vintage furnishings and style, others have renovated their spaces thus becoming design hotel. There are also two luxury hotels close to Porta Nuova train station: Golden Palace and Atahotel Principi di Piemonte, perfect for a demanding and sophisticated clientele. These are two 5-star hotels that boast refined environments, restaurants with classy menus, spas with swimming pool and fitness area, common areas with reserved spaces for business meetings or dates, comfortable and lavishly furnished rooms and suites with luxury bathrooms with whirlpool bathtubs and showers. Both hotels provide a shuttle service to/from Turin Caselle Airport and the Lingotto Exhibition Centre. Cheap hotels in Turin near Porta Nuova station, instead, are characterized by a modern and simple design, but are still in line with the needs of tourists and business people who do not want to spend a fortune. 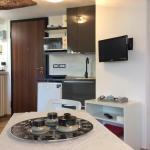 Their rooms are equipped with Wi-Fi, LCD TV, safe and bathrooms with hairdryers. Not all 2 and 3 stars hotels close to Porta Nuova station have a restaurant service, but all have a bar for relaxing moments. 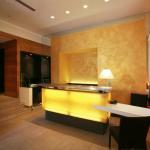 Hotel Roma e Rocca Cavour is located in a convenient area of ​​Turin, opposite the train station Porta Nuova. The resort is nestled in a lush well-kept park, ideal place to relax. Hotel Bologna is located in a central location in Turin, just opposite the railway station of Porta Nuova. A short stroll leads to the Egyptian Museum and the Regional Museum of Natural Science. 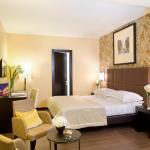 In Turin, just steps from Porta Nuova railway station, lies the Albergo Astoria. The city centre is easily explorable on foot and bus stop to Sandro Pertini Airport is located a short distance away.